Zenithmonitor:The Ultimate monitoring services & Best RCB offers. The amount of +0.52 USD has been deposited to your Perfect Money account. Date: 19:00 11.01.12. Batch: 7082501. Memo: API Payment. 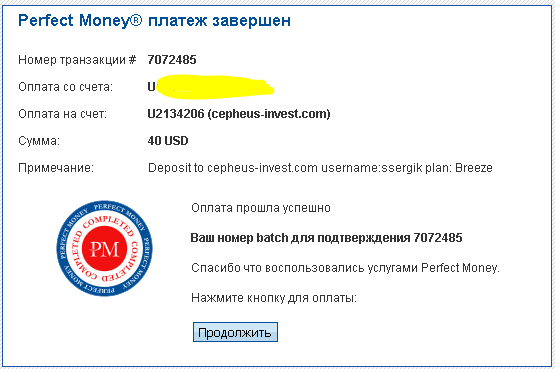 cepheus-invest.com withdrawal to ssergik..
Вопрос №13. Можно ли инвестировать в детей?